Do your curated online resources make the grade? Are they relevant, relatable, and reliable? In this article, I’ll highlight 7 criteria to help you evaluate curated eLearning content for your eLearning course. There certainly isn’t a shortage of articles, online training videos, and tutorials. However, not every online resource is going to add value to your eLearning course. In fact, too much information can overload your online learners and lead to cognitive overwhelm. The secret is analyzing each bit of data to determine which will enhance the effectiveness of your eLearning strategy. Here are 7 things to consider when evaluating curated eLearning content for your eLearning course. The most important criteria for curating eLearning content is to find online training resources that are reliable and backed by facts and stats. Ideally, the source should have a solid online reputation. For example, an expert blog that has been around for years and has a loyal following, or a news site that has won numerous awards and is the go-to source for current events. When in doubt, check to see if the source has been cited for other online content, such as research reports, articles, or blog posts that are credible in their own right. Online learners who access your eLearning course are looking for information that solves a problem or helps them achieve a goal. This means that your curated eLearning content must be relevant and relatable. Above everything else, it has to cater to online learners’ needs and make it easy to absorb the information. The challenge is that not all online learners have the same expectations, preferences, or learning goals. Thus, you need to conduct online surveys or assessments to find common threads. Then include a breadth of eLearning content that covers the entire spectrum. Your online learners are bound to get bored with an exhaustive list of articles or video links. You need to incorporate a good variety of curated eLearning content to cater to different needs and preferences. For example, online videos, serious games, online training simulations, and text-based walkthroughs that cover different aspects of the topic. Or at least explore the same ideas or concepts from a unique perspective. If you can’t find a vast assortment of online training content to add to your eLearning course, invite online learners to submit their own links. For instance, encourage them to scour the web for online training resources that resonate with them, then add them to the ongoing list. They may even be inspired to create their own online training content to benefit their peers. You’ve worked diligently to build up your brand image and ensure that every eLearning course element reflects your identity. The last thing you need is curated eLearning content contradicting your message and creating confusion. For example, an article that doesn’t reflect the same tone as the rest of your eLearning course materials, or a demo video that showcases an entirely different way of performing a task and goes against your company policy. In some cases, you may need to make some minor adjustments to curated eLearning content. Change the wording or images to accurately reflect your brand. Every piece of online training content that you curate for your eLearning course should align with the learning objectives and desired outcomes. If not, it’s merely extraneous information that serves as a distraction rather than a support tool. For this reason, you must clearly define your learning objectives before you curate eLearning content. Figure out what your online learners know and what they still need to absorb in order to achieve their learning objectives. Then use this information to focus your eLearning content curation efforts and find the most relevant online training resources. This criterion consists of multiple factors. Firstly, you need to make certain that the online training resources align with online learners’ interests in order to enhance engagement. Learn as much as you can about their hobbies, motivations, and backgrounds. The second factor to consider is real-world application. Online learners are only interested in online training resources that help them apply what they learn in a real-world environment. Lastly, you need to verify that the curated eLearning content aligns with their accessibility preferences. Do they typically use their smartphones to access the online training resources? 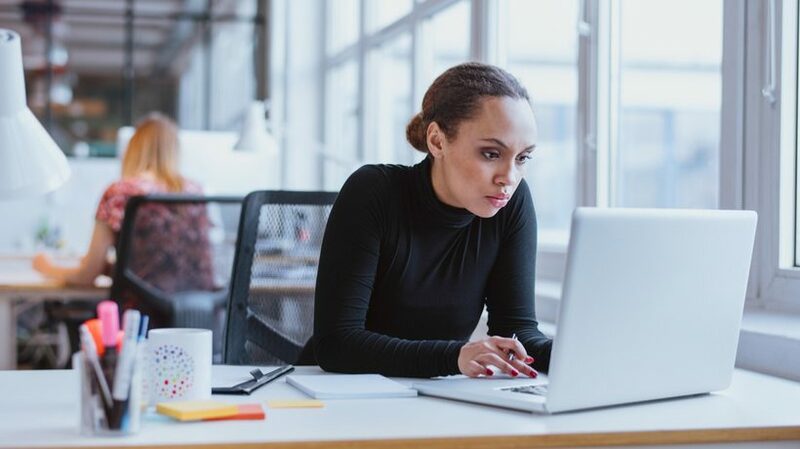 If so, you may want to opt for mobile-friendly eLearning content, such as videos with built-in audio controls or bite-sized online training activities that allow for quick consumption. Topics that are all the rage now will surely lose their appeal over time. This is why it’s best to avoid trendy online training content that will only hold online learners’ attention for a short span. If you do find an online training resource that features hot topics, try to find the valuable bits of information that online learners will find helpful. Then convert it into bullet lists or eLearning infographics that allow for easy knowledge assimilation. Evergreen content does not date itself. In fact, it may remain relevant for years to come, which saves you the time and trouble of frequent resource updates. There are some news articles and other dated content that can still be beneficial for modern learners. For instance, you can use them as real-world examples or case studies. These 7 criteria can help to ensure that your curated eLearning content is reliable, up to date, and learner-centered. High-quality eLearning content will add value to your eLearning course design without causing cognitive overwhelm. Thus, it’s best to focus on online learners’ expectations and needs instead of trying to bulk up your online training resource list with irrelevant links. How do you sift through all the available material and identify what really matters to your online learners? Which methods can you use to curate content more effectively? Do you know how to analyze and organize curated eLearning content? Is there a thorough way to curate eLearning content into learner-friendly formats? 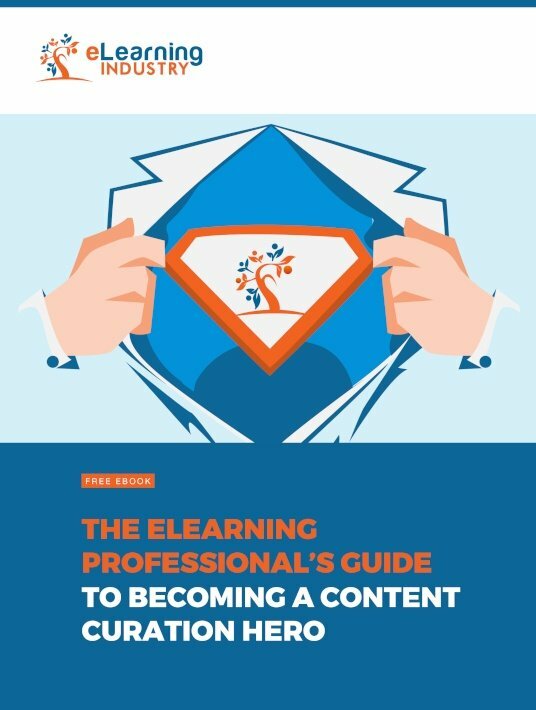 Download our free eBook The eLearning Professional's Guide To Becoming A Content Curation Hero to discover more tips and tricks. You’ll also learn some innovative ways to use curated eLearning content in your eLearning course design, as well as how to organize the data to make it more cohesive and prevent cognitive overload.